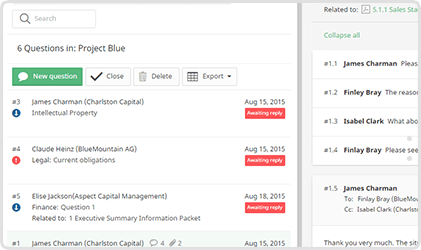 100+ features designed exclusively for secure document sharing and enterprise collaboration. Start your brand new data room with one-click data population. Drag & Drop files and folders from your computer into the upload window. No plugins needed. Instantly upload documents to the data room. No limits for size or number of uploaded files. It takes a moment for the data room to finish uploading. 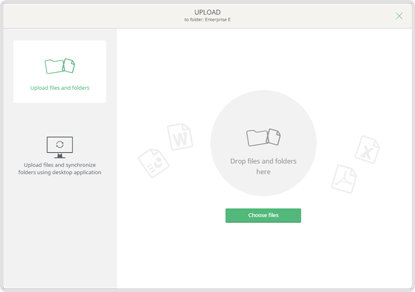 Upload files in any of 25+ formats. No need to prepare files before download. Files are converted into a secure PDF format which can be viewed in any Internet browser, so no additional software is required. iDeals Sync application automates data uploading and downloading. Easily synchronize contents of your desktop, shared folder, FTP, or corporate file storage with your data room. It also connects the data room to enterprise content management systems. Thousands of documents and folders are automatically numbered as you upload or move them. No need to create or update the data room index manually. Quickly find the information by entering keywords or applying multiple search filters. Optical Character Recognition (OCR) system searches for a word or a phrase in any document in your data room. Upload, delete, merge, move, view, download, restore, and rename files and folders easily. Merge the content of several files into a single PDF file. 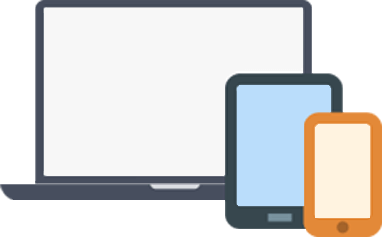 Protect confidential data against unsolicited viewing by enabling a restricted viewing mode. 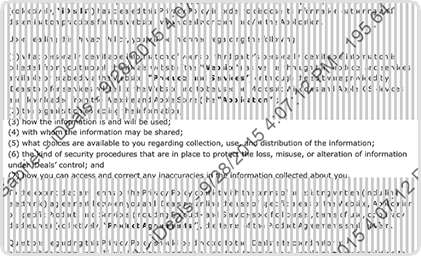 The user can only see the central part of the document while the rest is covered with a sliding barred screen. Document encryption on open and download controls the access to the file. Document access rights can be revoked even after the document has been downloaded. Enable automatic watermarks to appear on top of any document when it is viewed, printed or downloaded. Customize watermarks with user name, IP address, time and date of document access. 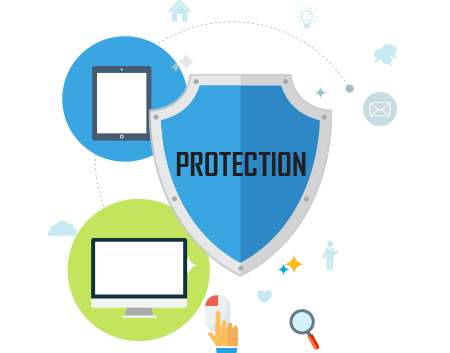 Five antivirus programs continuously monitor the data integrity. Documents containing viruses or damaged files cannot be uploaded to the data room. Specify detailed access policies for each document and folder in the data room. There are eight levels of document permissions: Fence View, View, Download Encrypted PDF, Print, Download PDF, Download Original, and Upload. Unique iDeals Spreadsheet Viewer allows viewing and analyzing Excel documents online in a secure way. iDeals Spreadsheet Viewer downloads, decrypts, sets watermarks and renders documents in any web browser not in PDF format, but in original secure Excel. View protected documents in their native format without plugins. No need to install any software or make downloads. No Java required. Single login and password for all projects: no need to remember all your passwords and project names. View the virtual data room contents through a streamlined interface optimized for mobile devices. Access a virtual data room in any of 12 Languages including English, German, Spanish, French, Dutch, Italian, Polish, Russian, Turkish, Portuguese, Chinese and Japanese. Scroll through functionality allows you to simply go to the next document in a folder directly from the document you are currently looking at. This saves you a lot of time when you need to browse through hundreds of documents. Access the data room from virtually all devices and all platforms including Windows, Apple iOS and Android. Configure detailed security policies for password strength and user session duration. Set expiration dates for the file access. Restrict access to the data room from certain IP addresses and during certain periods of time. Manage users' permissions for view, secure PDF download, print, download original document and editing based on user's role in the project. Make sure that parties can only access the documents they need - see document access permissions from the perspective of any user. Two-step user identity verification requires a password and a single-use SMS code sent to the user's mobile phone. Apply security features and control the accessibility of secure documents on users' mobile devices. 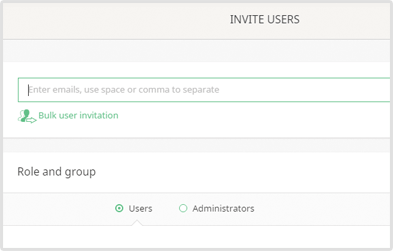 Quickly invite users one by one or bulk invite hundreds of users into your data room. Configure user's access to data room, sign-in security options, access to Q&A section and how often they receive new document upload notifications. Set various levels of access to different users to enable easily traceable audit records and increase the data rooms integrity. Choose one of three special View permissions for Excel files. View Excel with Formulas option allows users to see formulas in Excel documents. Excel without Formulas option makes formulas invisible for users. Excel data analysis option allows editing the accessible Excel files. Changes are not applied to the original files and are seen to the authorized user only. Easily manage hundreds of users by dividing them into groups with different levels of access to data room functions. To simplify the process of group creation we offer four pre-defined roles such as Full Administrators, Restricted Administrators, Collaboration Users, and Individual Users, complete with predefined sets of privileges. Send emails about uploaded and deleted documents and set the frequency when users receive such notifications. 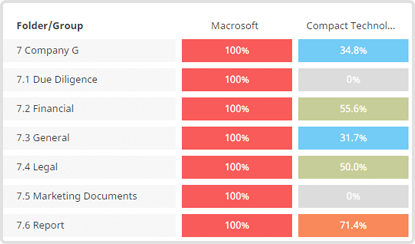 Maintain internal compliance by having access to audit trails that record every action in the data room.Choose a PDF, Excel or print friendly version of reports to use in meetings and presentations. Investigate every user's action, including what they have searched for. Track document views, prints, and downloads. Every detail is tracked – you can even see how long the user has been viewing each page of the document precisely by second. Understand what's happening with your data room content at one glance. Colorful “heat map” reports display which groups are the most active and what sections of data room they are most interested in. This gives you an advantage in decision making. Get a snapshot of group activity in the data room: check the number of users invited, how many have logged in, the number of documents permitted and accessed, the number of Q&A questions posted. Prepare the list of most common questions and answers for users to refer to. To make use of the most critical information on your project prepare FAQ section populated in advance. Turn this section into a searchable secure resource with all key information regarding your deal. Live Discussion is a protected live forum with access permissions specified precisely down to each person. Everyone who has permissions can access various threads and post responses. Users can launch their own discussions within their own group or ask questions to the administrator. When posting a question, the user can choose to which area of expertise it refers to: Financial, Legal, Tax, Intellectual, or Marketing. Administrators can assign questions to various Subject Matter Experts. This helps speed up due diligence process and keeps communication secure within the VDR platform. Control access to confidential discussions by providing granular access to threads and attachments. Data room administrators can appoint several types of access rights to Q&A to each user. Each bidder group can select a moderator who submits relevant questions to the administrator. Each question receives its status automatically or manually. This help track status of the question and utilize the time of the administrator and the expert more efficiently. Maintain complete reports of all Q&A communication for legal purposes. Export all Q&A questions in spreadsheet format. At the end of the project the contents of Live Discussions and FAQ section can be downloaded and used in the future for educational and training purposes, for example, educating new bankers and internal strategic and M&A department employees. FAQ provides a record of questions asked during complex transactions. Interface is similar to popular email applications so it is easy to learn. Use familiar email features such as carbon and blind copy and forward option. The process of information exchange is streamlined as users can attach documents or insert links to contents in the data room in their messages. Multiple geographically remote data centers increase data transfer speed up to industry-leading 200 mBps. Data center proximity optimizes file upload and download speed up to 10 times. Redundant design of infrastructure components delivers a highly resilient and secure environment that guarantees 99.95% uptime. Thousands of enterprises worldwide rely on iDeals virtual data rooms to access their business-critical documents. With this in mind, we designed our data room service so that it never shuts down for maintenance purposes. Add your company branding to create a familiar collaboration workspace. Upload your logo, adjust theme colors, and customize the invitation email. 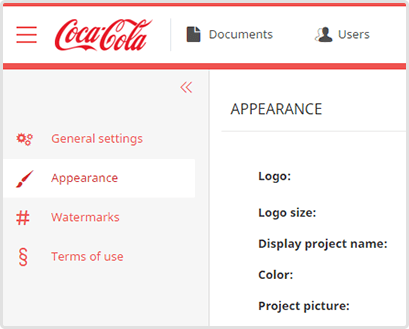 You can configure how watermarks are displayed: upon viewing, download or printing. Watermarks may be customized with your choice of pattern and color. Enable automatic translation of the data room index to 90 languages. Display custom headers and footers on documents that may be printed or downloaded as PDFs. Customize header and footer content, font size and colors. Depend on a trusted service to authenticate corporate users and authorize their access to sensitive data by integrating iDeals VDR with your corporate identity provider for single sign-on (SSO). Allow corporate users to seamlessly log into the VDR without entering or even creating credentials for iDeals. 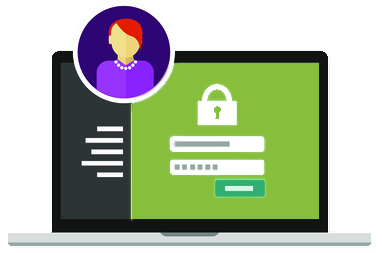 Reduce IT costs by eliminating the need to manage multiple user accounts and recover lost passwords. The International Organization for Standardization (ISO) 27001:2013 is the international security standard used to benchmark the protection of sensitive data. Our certification process encompassed organizational security policies, personnel security, physical and environmental security, systems and network security, and business continuity management. SOC2 reporting assures adequate control systems in place to safeguard their data and information. SOC 2 certification confirms that iDeals has all of the best internal practices in place to verify security, availability and privacy. iDeals uses multiple data centers which employ physical security, biometric entry authentication systems, and multiple layers of surveillance. Our in-house R&D team keeps our technology one step ahead of the latest industry benchmarks. Our efforts to innovate are unparalleled in the financial communications business. Software development methods and processes are regularly updated to comply with the latest international practices such as Microsoft Secure Development Lifecycle and OWASP. Application security is regularly assessed by independent experts to maintain high levels of reliability.